Over the last week I've spent at least an hour washing all of my make up brushes. Although I don't always buy the most expensive brushes I do have a bit of an obsession with make up brushes and over the years I think I've developed quite a nice little collection. One of the brush brands that I've became a little bit obsessed with over the last year or so is Ecotools. Created by actress Alicia Silverstone, EcoTools is a range of both environmentally friendly and cruelty free make up brushes and accessories. As you can see from my Beauty Product Directory I've already tried out quite a few brushes from the range but as all good beauty bloggers know, you can't have too many brushes, so for one of August's My Pure reviews I decided to try out one of the brands newest additions. 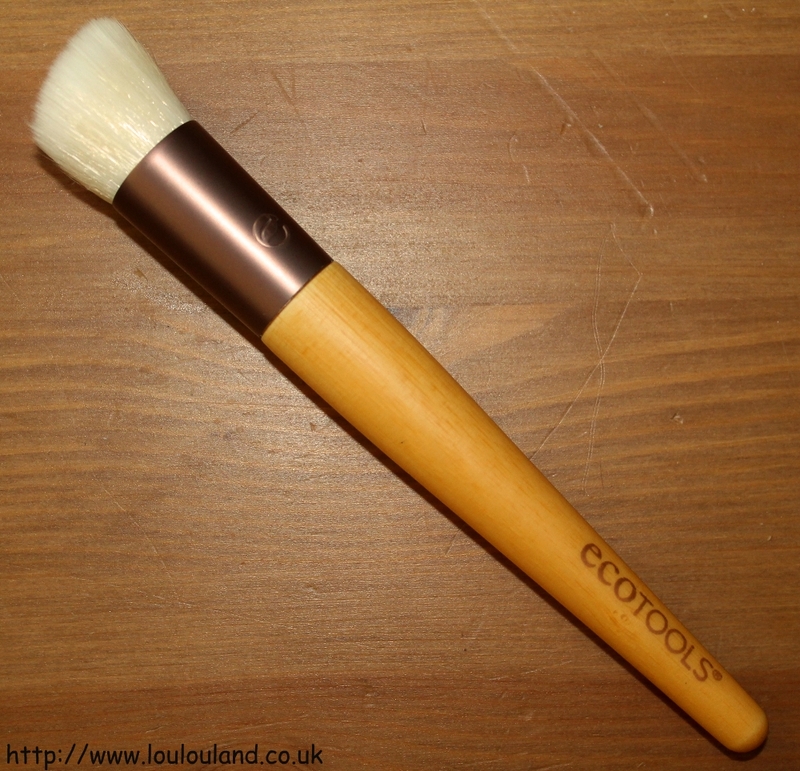 The EcoTools Skin Perfecting BB / CC Brush is specially designed for applying both BB and CC creams, and tinted moisturisers but I've also been using to apply foundation. Like the rest of the Ecotools brushes that I've tried this one comes in a reusable, recycled plastic and fabric pouch to protect your brush. The brush itself has the familiar embossed, sustainable, bamboo handle and it features a recycled bronze tone, aluminium ferrule.The brush head itself if made from soft, but substantial, cruelty free synthetic hairs and it is cut at an angle. The way the brush is cut enables you to get into all the nooks and crannies of your face. The slanted side and point of the brush fits perfectly around the contours of your eyes and nose, and the flat side of the brush is perfect for larger areas of the face. It doesn't drag and you're left with a smooth finish with minimal brush marks. I did lose a couple of hairs on my first use but it washed and dried well without any further shedding.